This 14 year old is finished in port wood. The port is not dominating the smell. 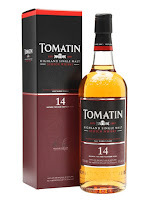 At all… It is a bit more heavy in the dried fruit section compared to the normal light style from Tomatin, but not overwhelming. Some more sweet fruity notes comes forward in the taste. More port influence here. The finish is delicious with notes of nuts and oak but most important it is full of dark berries and fruity sweetness. 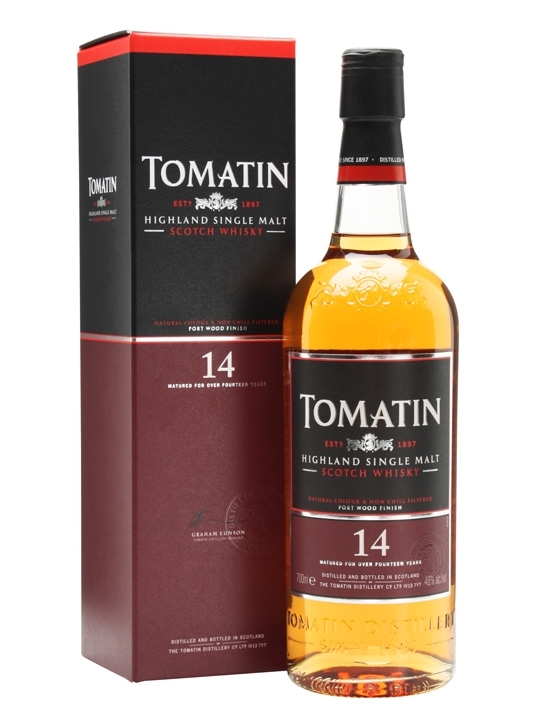 A whisky that starts a bit slow, but just gets better and better. Give this time and will open up, especially the finish. I didn’t get much help with water, as it only seemed to make it weaker all the way around. I will give this 84/100 (20/21/22/21).